Deep-frying is truly the highest form of cooking because it improves any food, so why stop at chicken or potatoes? Atlanta’s top chefs certainly don't, which is why we've rounded up the 11 most epic fried foods in the city, and why you should round up your stretchiest pair of pants and immediately go out and get some fried cheese, fried cheesecake, and more. 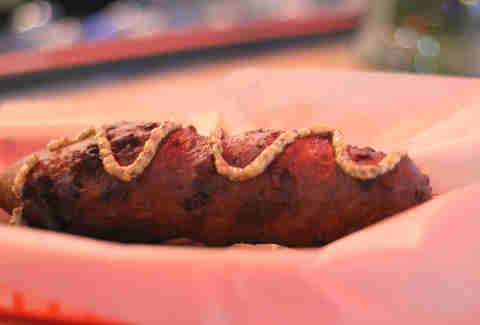 Behold this giant, fried wiener in three sections. It’s broken down into beef, then kielbasa, and then Italian sausage, dipped in one of their batters (we recommend cheese, of course), and then deep-fried until it's ready to be inhaled. 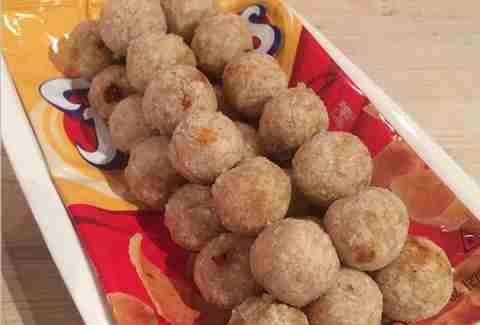 Fox Bros takes this classic, beautiful mess of a snack and turns the chips, chili, and cheese into delicious finger-sized balls instead of something that resembles a mud puddle. 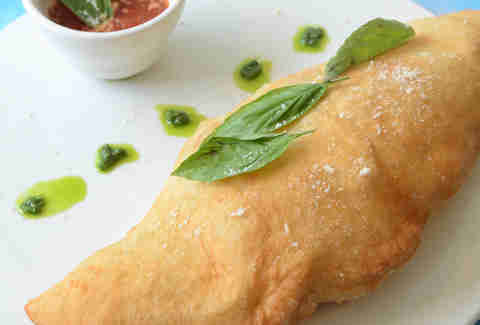 This U-shaped fried calzone is filled with fresh ricotta and pork. It’s half-Italian and half-Georgia hillbilly, so it's perfect for when your cousins visit from New Jersey (or Naples). Sometimes simple is best. 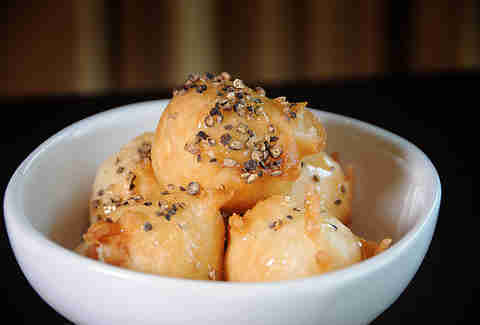 Tangy goat cheese, a light batter, cracked pepper, and a drizzle of honey combine for a delicate balance of flavors and crispy creaminess. 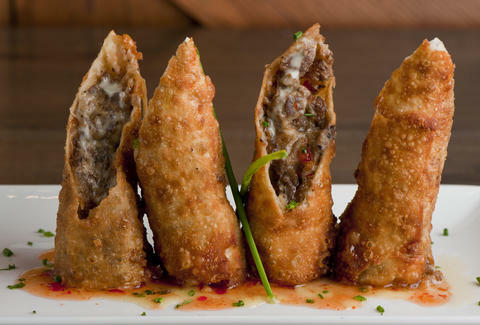 It's fancy fried food. 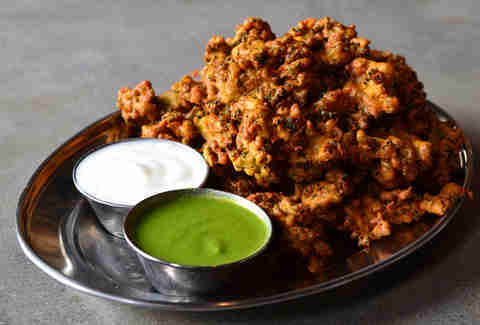 This Indian street food is made with fresh kale in a curried chickpea batter and served with green chutney and sweet yogurt. Next time your friend tries to foist a green smoothie on you, hit ‘em back with this. Italian for “princess”, the Reginella is a fried calzone that's stuffed with mozzarella, ricotta, corbarino tomatoes, salami, cicoli, black pepper, and Romano. Then it's topped with basil and extra virgin olive oil. 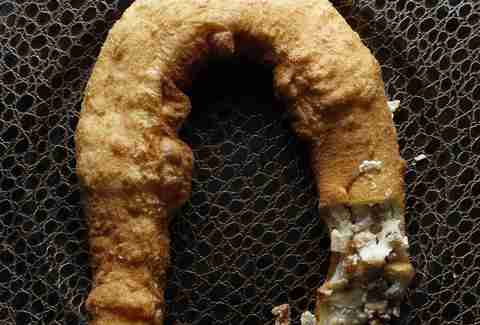 You may just want to marry this piece of food royalty. 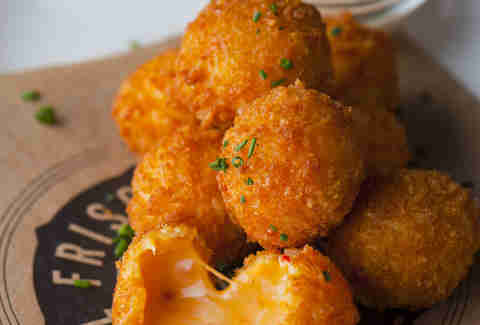 Crack open one of these golden nuggets and watch a river of pimento cheese ooze forth. With your trusty chipotle ranch dipping sauce, you’ll be a regular cheese prospector. 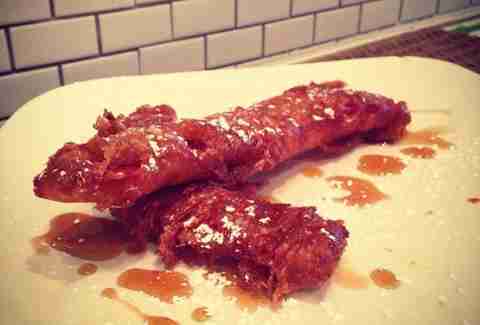 Inman Park’s new fried meat logs are strips of apple bacon that are dipped in pancake batter and drowned in bourbon maple syrup. If this isn’t the ultimate Southern food, nothing is. 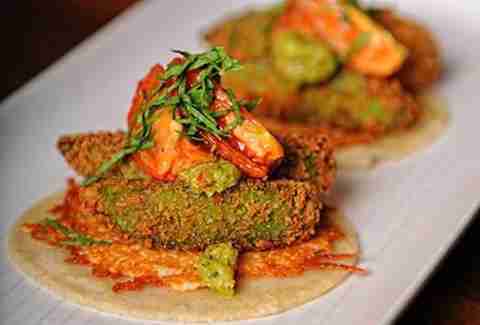 Deep-fried avocados ride atop a platter of fried Cotija cheese, topped with some poblano pesto and roasted tomatoes. Served on corn tortillas. You've kept that New Year’s resolution so far, but it’s time to meet it halfway. 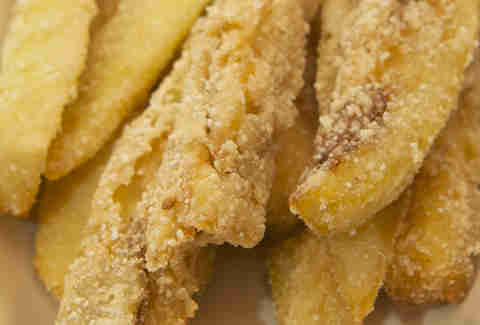 Yes, you’re going to have delicious fried food, but this is a vegetable, so it’s "healthy"!! Let’s not skip dessert. 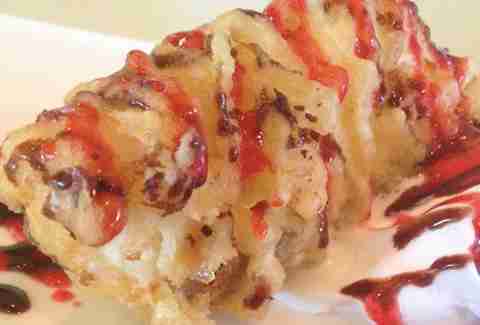 Genki takes their tempura batter and a delicious slice of cheesecake, then the hot oil does the rest of the work. Yeah, it seems indulgent, but at least you’re using chopsticks, and not your bare hands, to eat it, right? Right.